On January 22, the Presidential Commission on Election Administration presented a 112-page report offering a series of recommendations to improve the US electoral system. This bipartisan commission, established by US President Barack Obama, was integrated by a multidisciplinary team of experts that held public hearings and private meetings with election experts, authorities, voters, election companies, among others. The commission focused its efforts in the voters and their expectations. Despite the vast territory of the US, and its large and diverse population, the reports concluded that expectations of voters are uniform. Above all, they seek a modern and efficient experience when it comes to casting a vote. This includes improving the quality of administration in many aspects, such as registration of voters, selection and design of polling places, and granting access to those with disabilities. Modernizing the processes and methods used to create voter lists. The commission recommends expanding the use of online registration, and promotes State collaboration in improving their accuracy. Facilitating the exercise of the suffrage by expanding the period for voting before Election Day, and improving the infrastructure of polling place facilities. Using best practices and state of the art techniques to manage logistics in polling centers, and efficiently allocating the resources of polling stations. Simplify certification processes of new technologies to allow for a renewal of the technologies in place, and to promote innovation in the industry. 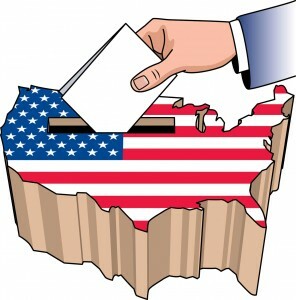 Thanks to the work of the members of this commission, and the efforts of all other stakeholders who provided their input, the US has a tool to offer better run elections to their citizens, thus avoiding the many inconveniences that prompted President Obama to conform this commission in 2012.